I set up in the THO. I had to align twice because something was loose. 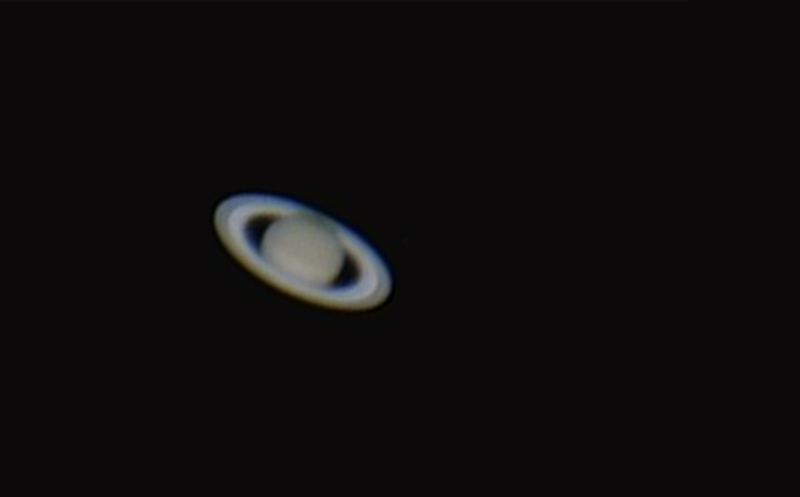 I shot Jupiter, Mars, and Saturn with my dSLR, and then I stuck my planetary camera on the scope. Last year I totally failed at using this camera. This year, I stuck it on, couldn’t find focus, re-centred the planet in my telrad, and found the focus. Just like that. Then Bill told me to stick it on the 14″ in the GBO, so I did. I exported an image sequence from my .mov file and then Bill did a quick Registax stack before I tweaked it a bit in Photoshop. So there. Maybe I will do a manual stack of Jupiter – it is really great these days. Tonight I will test some wide field of the Milky Way using my iOptron sky tracker, and maybe, just maybe, look at the Spring chapter of Turn Left at Orion again. Saturn at opposition, June 3, 2016, with C14 at the CAO.